"Kingsman: The Golden Circle" copies the formula from its extremely fun predecessor. That's not a bad thing though as this sequel is supremely bigger, meaner and more over-the-top than "The Secret Service". While there are a few kinks in its armor, most of it are forgivable and forgettable in the grander scheme of things. "The Golden Circle" is definitely one heck of a thrill ride that brings the franchise to even greater heights. 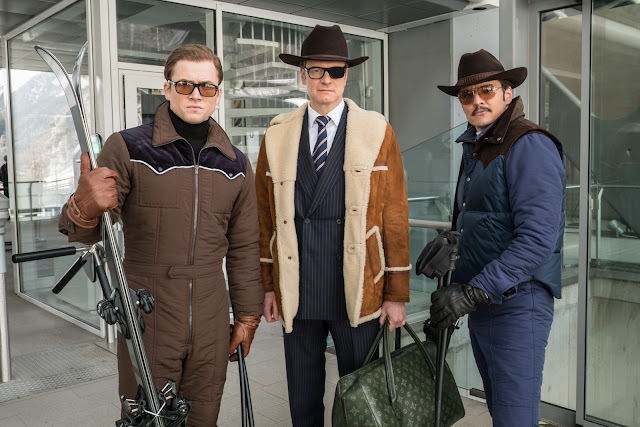 When the Kingsman organization is hacked and suffers a devastating attack that leaves Eggsy (Taron Egerton) and Merlin (Mark Strong )the only members left in the organization, the two are forced to activate a doomsday protocol that leads them to their American counterpart, the Statesman. The two organizations form an alliance to stop Poppy Adams (Julianne Moore) - a brilliant yet psychotic drug lord and the source of the deadly attack on the Kingsman. While "The Golden Circle" may lack the awesome fireworks scene from the first film, it well compensates with a plethora of action sequences that makes this match its predecessor toe to toe in the enjoyment factor. 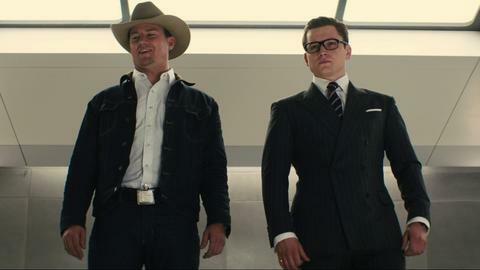 While the first film concentrated a chunk of its time in Eggsy's development onto a true spy, the sequel puts our protagonist right in the middle of things. This means that the action will start from the get-go and never really relents until the credits roll so much so that you never really feel the drag from the more than two-hour-long runtime. Matthew Vaughn's filming style still feels fresh and one that we find extremely enjoyable. Unfortunately, while the action was outstanding work, its narrative is where "The Golden Circle" may feel a little bit of a downgrade. While the first film presents an outstanding narrative on how one ordinary kid turned extraordinary eventually, the second tries hard to make a compelling story to tell with our hero starting from the top. 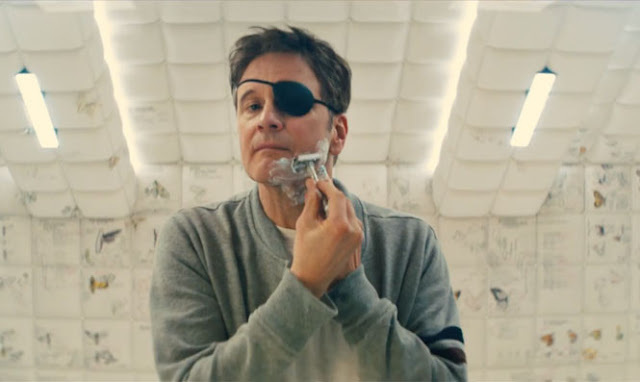 This mostly revolves around how Eggsy struggles to balance his deadly job and having a girlfriend on the side or how he tries to move on from the untimely demise of his mentor, Harry (played by Colin Firth). While the film was able to tie things well, in the end, it's still not as impactful as before. Additionally, expect the same predictability that plagued the first film although there are still a few surprises in between. In the acting department, it was mostly superb. The charisma of the cast is one of the bigger reasons why this film works. From the eventful cameo of Elton John, Julianne Moore as Poppy and even Pedro Pascal as the cool Whiskey, every cast, and character, big or minor, was not wasted. Well, maybe Channing Tatum was an exception though. Overall, "Kingsman: The Golden Circle" was fun, funny and a roller coaster ride. If you enjoyed the first one then this is a must-watch. If you haven't seen any of the films, this second one is a great reason to find out why this is shaking things up in the genre.